Troparion (Tone 4): You appeared as a radiant light, * O priest-martyr Josaphat. * Like the Good Shepherd, you lay down your life for your sheep; * killed by enemies who loved division, you entered the holy of holies to dwell with the bodiless powers. * Therefore we pray you, long-suffering saint: * beg Christ, the Prince of Shepherds, ** to number us among the sheep at his right hand and to save our souls. 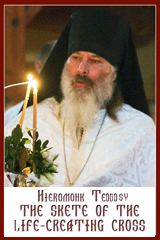 Kontakion (Tone 4): Enlightened in childhood * by a flame from the crucified Christ, * you resembled the angels in your life as a monk, * and as bishop you lived in godliness. * You clearly preached unity * and with your martyr’s blood, you calmed hearts inflamed by love for dispute. * From Christ you received the crown. * And so remember us * as we cry to you: Rejoice, ** O unshakeable pillar of unity. 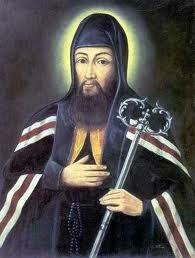 Prokimenon (Tone 7): Precious in the sight of the Lord * is the death of His venerable ones (Ps 115:6). according to the order of Melchizedek.’ In the days of his flesh, Jesus offered up prayers and supplications, with loud cries and tears, to the one who was able to save him from death, and he was heard because of his reverent submission. Although he was a Son, he learned obedience through what he suffered; and having been made perfect, he became the source of eternal salvation for all who obey him, having been designated by God a high priest according to the order of Melchizedek. verse: Your priests shall clothe themselves with justice, and Your venerable ones shall rejoice (Ps 131:9). verse: For the Lord has chosen Sion; He has chosen it for His dwelling. (Ps 131:13). Gospel: (Jn 10:9-16): The Lord said to the Jews who had come to him: I am the gate. Whoever enters by me will be saved, and will come in and go out and find pasture. The thief comes only to steal and kill and destroy. I came that they may have life, and have it abundantly. ‘I am the good shepherd. The good shepherd lays down his life for the sheep. The hired hand, who is not the shepherd and does not own the sheep, sees the wolf coming and leaves the sheep and runs away—and the wolf snatches them and scatters them. The hired hand runs away because a hired hand does not care for the sheep. I am the good shepherd. I know my own and my own know me, just as the Father knows me and I know the Father. And I lay down my life for the sheep. I have other sheep that do not belong to this fold. I must bring them also, and they will listen to my voice. So there will be one flock, one shepherd. 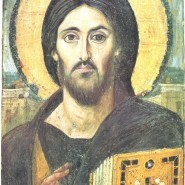 Communion Verse: The just man shall be in everlasting remembrance; * of evil hearsay he shall have no fear (Ps 111:6-7). Alleluia! (3x).